On an all new episode Andy, Carl and Ryan bring the latest on what has been happening in the WHL. Jason Smith is out as the coach of the Kelowna Rockets, replaced by Adam Foote. Is this what Kelowna needs to set themselves up for the Memorial Cup? The US Division is full of winning teams. Something has to give, right? 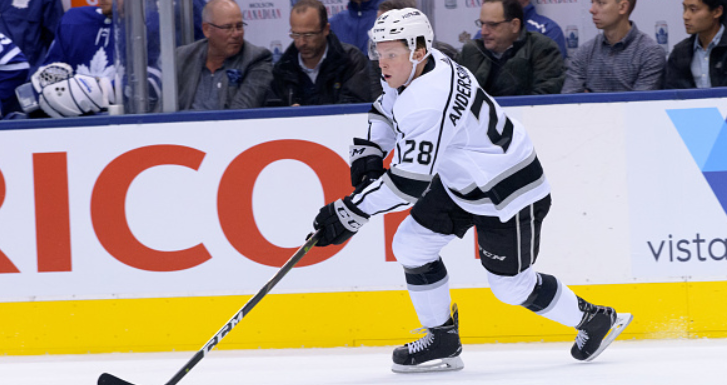 Jaret Anderson-Dolan has returned to the Spokane Chiefs, while Michael Rasmussen‘s return to Tri-City has been delayed. What has led to their different circumstances? The Calgary Hitmen were winners of two games last week, while the Edmonton Oil Kings went winless on their US road trip. Are the tides turning in the Central division? In the East, Prince Albert can’t lose and Swift Current can’t win. What is the secret to Prince Albert’s success, and can they keep it up? All this and more on a brand new episode! Who are Carl and Andy and Ryan? Carl comes from Calgary. His facial hair of choice is a mustache. His team of choice is the Colorado Avalanche and his smoked meat of choice is brisket. Andy comes from Seattle and covers the Seattle T-Birds for 710 ESPN Seattle and the WHL for The Hockey Writers. You’ve also seen him at Sportsnet and The Dub Network. Andy’s BBQ’d meat of choice is anything pork. Ryan comes from Calgary and his work can be found at Flames Nation, The Hockey Writers, Fischler Report and WONF4W. The 4th Line Podcast is a weekly hockey podcast hosted by Carl Landra and Joel Schnell. Every week they share their unique and fun take on what is happening in the world of hockey. While they don’t take themselves too seriously, they have a typical no 4th line attitude: what they lack in finesse, they make for in being willing to go to the corners and work hard to get the job done.